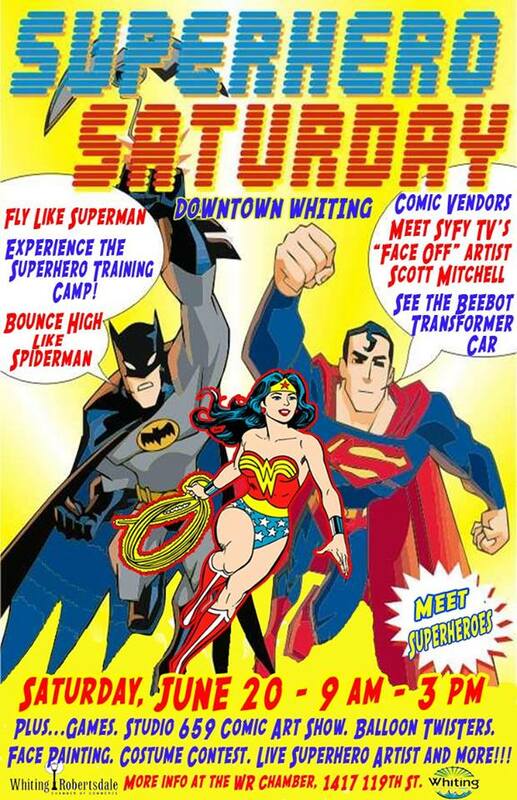 This Saturday (6/20/15) the city of Whiting,IN will be hosting Superhero Saturday in its downtown area (119th street). The event is free to the public and will start at 9am -3pm and will feature games, cosplay contest, Scott Mitchell (SyFy’s Face Off), and much more. Oh did I mention that Derek Horsely and I will be in attendance as well? For more information please view the flyer below.